Please Help Fund a Documentary on Schenk’s Corners! 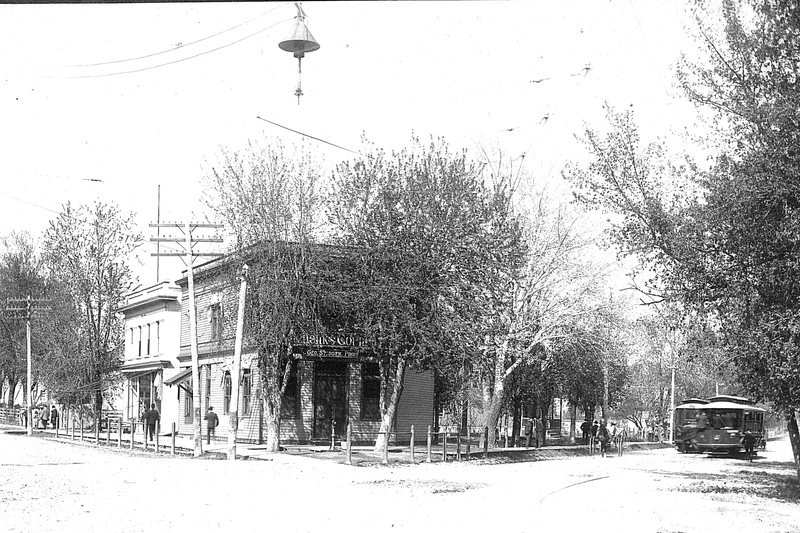 A century ago, the growth of the Fred Schenk and Sons family businesses triggered commercial development and gave its name to Schenk’s Corners. Local filmmaker Gretta Wing Miller has taken the lead on producing a documentary about Schenk’s Corners, building on the material collected with Ann Waidelich, Madison historian, and Sue Retzlaff, great-granddaughter of Fred and Wilhelmina Schenk, for our club’s October 2011 meeting. Initial research expanded to include filmed interviews with Wayne Johnson during the closing of the uniform store and with Mildred Stitgen Lee (granddaughter of Fred and Wilhelmina Schenk). Now, thanks to DaneARTS’ new fundraising website Power2Give, the East Side History Club and Gretta Wing Miller are able to raise money to preserve this fascinating story as a documentary film. Visit Gretta’s project on power2give now! To see a trailer from a version of this story produced for the Retzlaff family (and available for sale), visit this earlier post on East Side History-Madison. Consider how even a small donation, combined with others and matched by 50 cents for every dollar given thanks to a collection of community supporters, will help produce a video history or Schenk’s Corners. Burr Angle and Ann Waidelich (second and third from right) greeting visitors in Eken Park. (Joan Phelan was also present, but obscured by the basketball backboard post and East Side History Club sign). 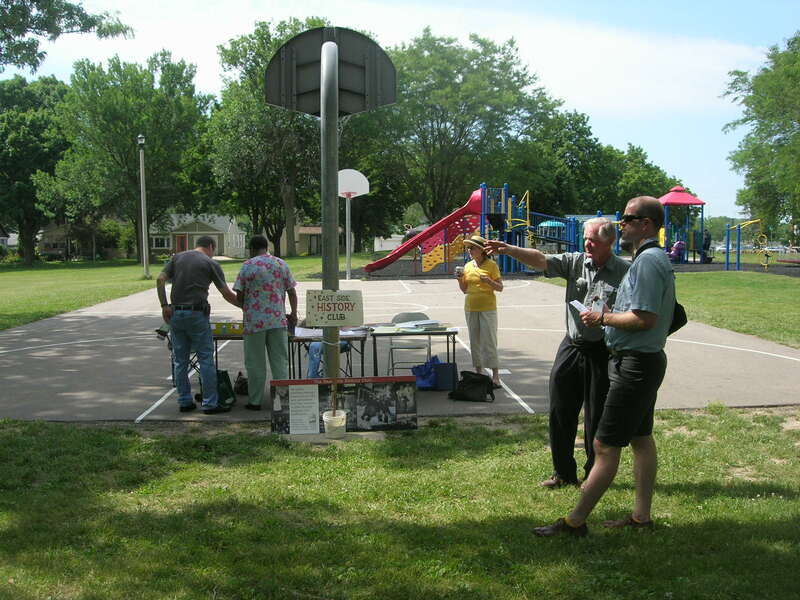 The conference, titled “Nature + City: Vernacular Buildings & Landscapes of the Upper Midwest,” took participants on two tours of Madison’s East Side. After visiting some of the area’s oldest homes in the Third Lake Ridge neighborhood, four busloads of architecture enthusiasts came to the Eken Park neighborhood to view examples of some of the world’s first modular homes. Many of the modest-but-functional houses on Coolidge, Myrtle, and other nearby streets, built following World War II for returning veterans, retain their original style. At about 900 square feet set forward on 40′ x 100′ lots, the 1-story two-bedroom homes were designed with attics ready for converting to a third bedroom as postwar families expanded. Two homes were open for conference attendees to walk through. One, on Myrtle Street, is being renovated by Operation Fresh Start and the other, on Coolidge St., is for sale. Burr Angle constructed a model demonstrating the typical layout of these homes, developed by John Tilton from pieces manufactured by the Milwaukee-based Harnischfeger Corp. Their occupants were mostly factory workers at the nearby Oscar Mayer plant or French Battery Factory. 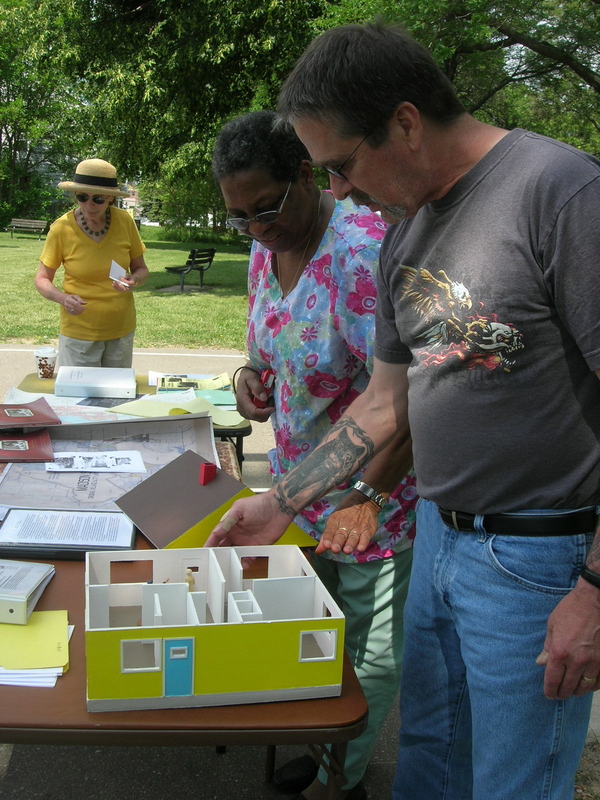 Two Eken Park residents (Merlyn O’Brian and neighbor) enjoyed a new view of their homes in the 2400 block of Coolidge Street, thanks to Burr Angle’s detailed model.